Keep Your Skin Flawless This Cold Season! I am so excited to share with you some new natural products that I just discovered for Fall. I don’t know if you are like me but I have very dry skin around my legs, hands and the area around my nose. That is probably the reason why I love summer! My skin finally gets a break from all this dryness in the summer. I also have very sensitive skin that is easy to break out so it is a real mission to find a product that can help hydrate and protect my skin. Then, I was introduced to Vo Bath & Co. If you live in Canada and haven’t heard of this brand before, you seriously need to check them out. So the products that I want to share with you today is the sampler trio of Vo Bath & Co Lotion Body Scrubs. 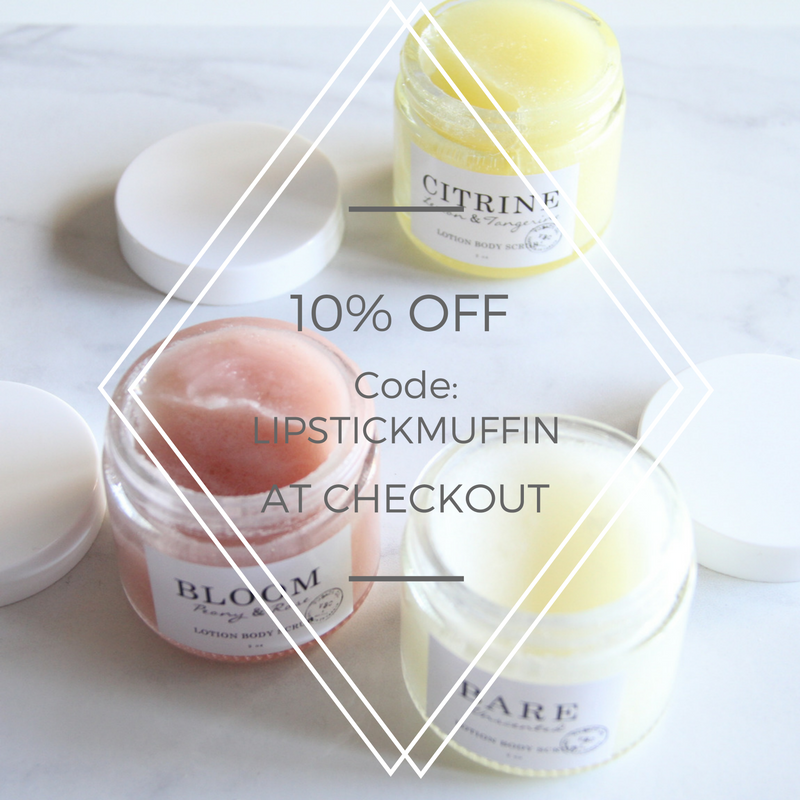 They come in three recyclable glass jars that are perfect for travelling and when you are out and about. 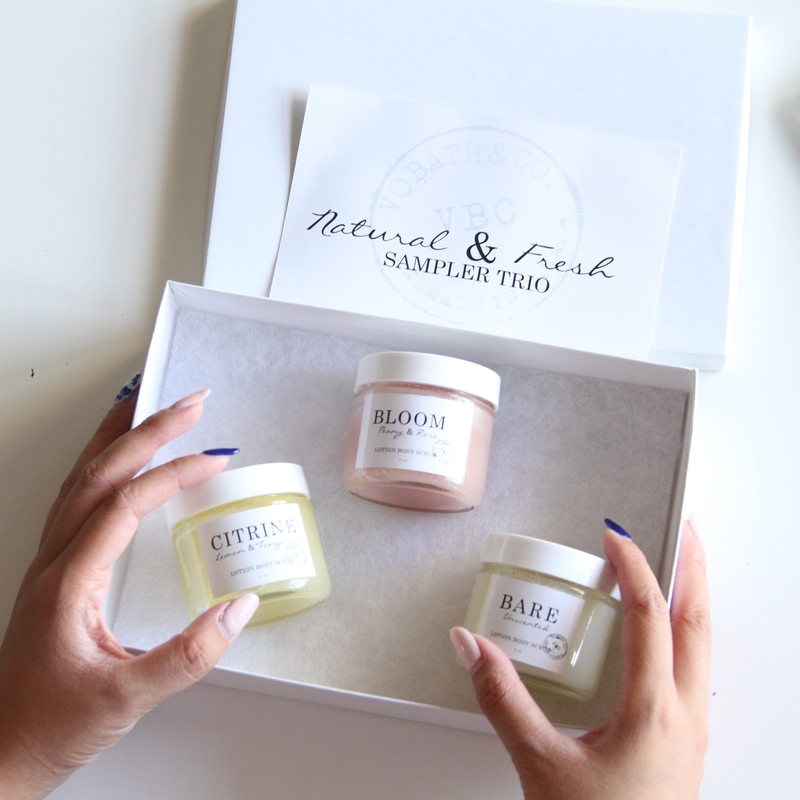 The sampler trio comes in three scents Citrine, Bloom and Bare. I know that at times I might be super skeptical with products with scents as I have super sensitive skin. However, when it comes to these three, they are all my favourite. The unique part about Vo Bath & Co Lotion Body Scrubs is the fact that they are lotion and scrubs in one jar. How brilliant is that? We all know that we need to frequently exfoliate our skin but sometimes the scrubs that we use can remove a great amount of natural oil on the skin and leave it very tight and dry. But, don’t worry! These scrubs won’t do that to your skin. I have put them all on the test! 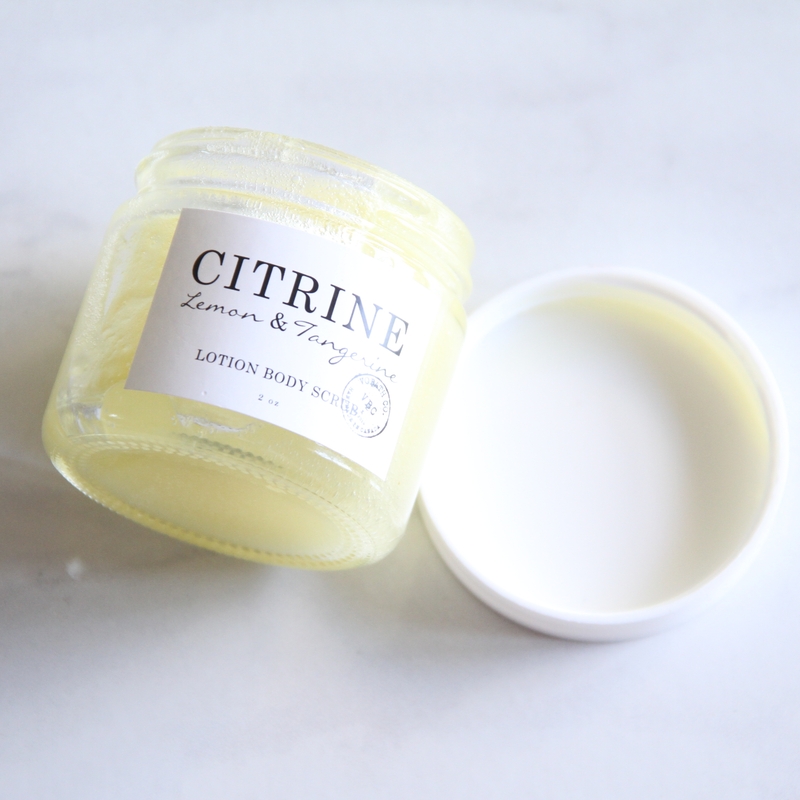 These jars right here contain many small tiny scrubs that are made of organic sugar and actually dissolve and become liquid lotion once you apply on wet skin. They remove your dead skin, cleanse your pores and leave your skin super smooth and silky. I love love love the fact that the brand never fails to consider people with the most sensitive skin when creating their products and this is one of the evidence. 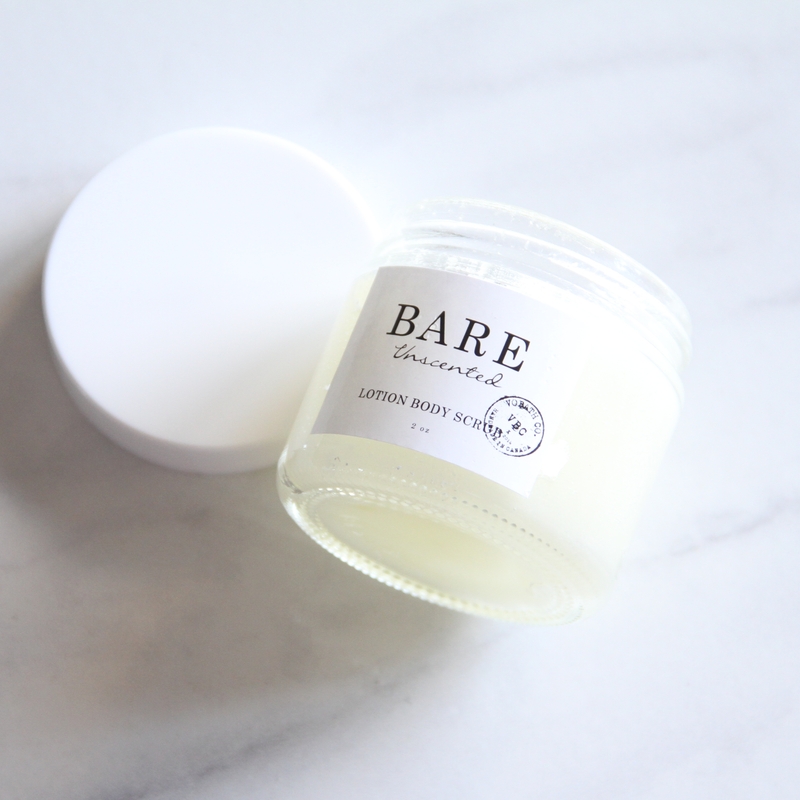 BARE is the unscented one that is perfect for people like me. It is suitable or all skin type, even the most sensitive types. I actually tested it out and used it as a facial scrubs and it feels amazing! If you are scared to try the other two scents as facial scrubs, BARE is the way to go. I recently had my nose pierced and as suggested, I could not use any harsh scrubs or scrubs that contain salicylic acid on my face and around the piercing to avoid irritation and infection. However, my nose got really dry for the next couple of days with lots of dead skin built up and since BARE is unscented, I gave it a try and it did a wonderful job in moisturizing and removing the flakiness on my nose. This product will be your best friend during those cold & dry winter days so prepare for it! This is one interesting scent. It is a combination of peony, rose geranium combined with hibiscus petals. It has a light floral scent that is quite pleasant. I like to apply this one after shower and before going to bed because it is very relaxing and soothing. This is so far my favourite one out of the three. It is a combination of lemon, tangerine and grapefruit that is very energizing and gets you in the right mood to start the day or wakes you up after a long tiring day. I heard that CITRINE is also great for fading scars and healing red spots. 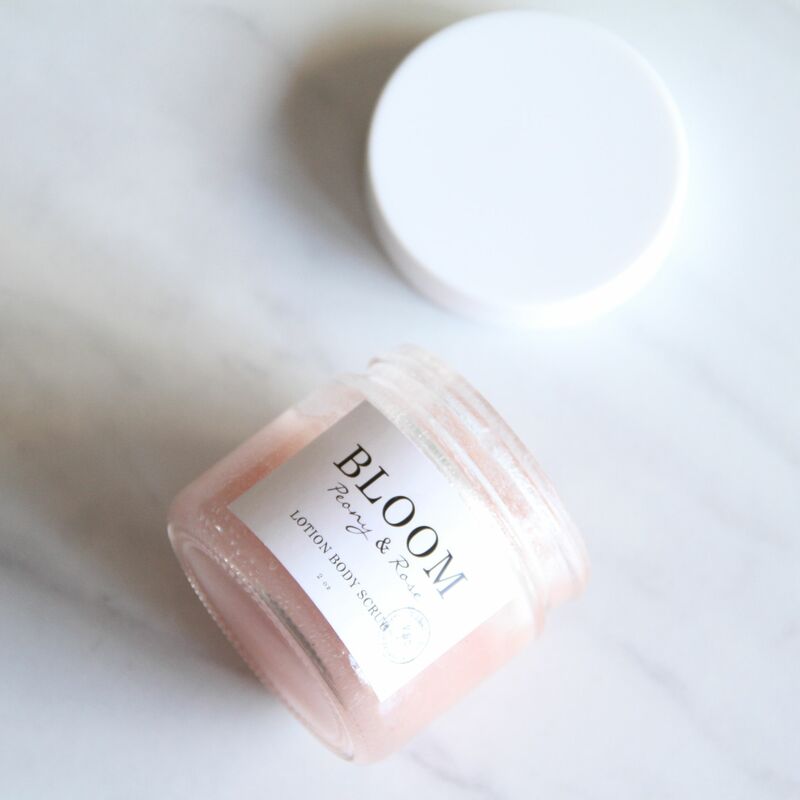 If you have experienced back acne in the past, this is a perfect body scrubs and lotion for you to treat acne marks and remove dead skin on your body without drying out your skin. Besides the few ingredients that I just mentioned, these trio are also packed with cocoa butter, shea butter, vitamin E, jojoba oil and grape seed extract. These are well-known natural ingredients that people have been using for years to maintain healthy and beautiful skin. If you would like to try out this Sampler Trio and make sure your skin is well taken care of for this coming winter, you can use the code below to get 10% on your order. You can also get FREE SHIPPING when apply CANADA SHIPPING at CHECK OUT. Have a wonderful week ahead and I can’t wait to hear about your experience on these products!